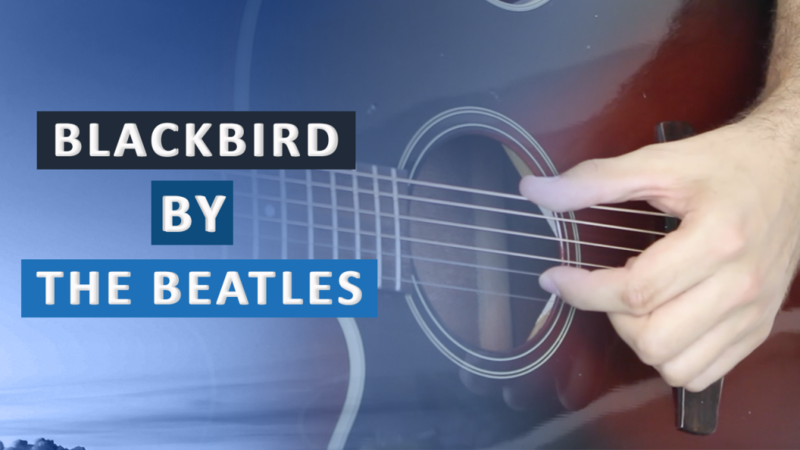 Scroll down for full video lesson (with tab) of Blackbird by The Beatles. Blackbird was written by Paul McCartney in 1968 and appears on The Beatles' album 'The White Album'. McCartney has stated that the song was inspired after listening to a blackbird singing whilst practising transcendental meditation in India, and from the troubled state of racial problems in Unite States at the time. This song is a very popular one to learn for virtually all acoustic guitarists, and for good reason. It's a song that isn't too tricky to play and sounds fantastic even without the lyrics. Blackbird is no. 34 on my Top 60 Fingerpicking Songs of ALL TIME list. If you've not seen the list be sure to check it out and sign up to my weekly email lesson. 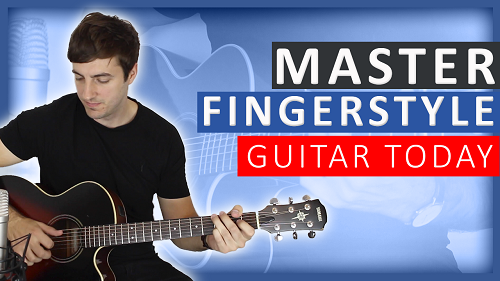 That way you won't miss learning any of these great fingerstyle songs. The fingerpicking technique McCartney's used for the song isn't your typical approach, and you see lots of people (including myself for many years) playing it incorrectly. McCartney learnt the technique from singer-songwriting and fingerpicker 'Donavan'. Rather than permanently picking each individual string he plays the bass notes with his thumb, uses his first finger to pluck the B string, then still using his first finger he lightly strums the G and B stings as well. As a result from lightly strumming the strings you get a very warm and gentle tone. It will likely take some work to get it flowing together smoothly but it's well worth it. He uses a very similar pickingtechnique for 'Yesterday'. I've written the guitar tab as if you were to fingerpick right through without the strumming, but as mentioned above be sure to apply the correct technique as taught in the video lesson. There's a lot of very clever songwriting going on here, the bass line is a big part of what makes the song so pleasurable to listen to. Notice the chromatic bass-line walking into each new chord. The open G string ringing throughout keeps everything tied together securely, and allows the more melodic higher notes on the B string to sing out even more. It's reasonably simple to play and very effective. It's a very similar approach for the chorus of Blackbird. Therefore if you've made it this far you shouldn't struggle too much with any new changes.